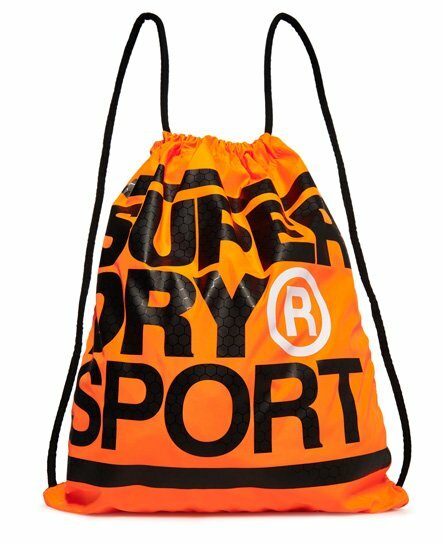 Superdry men’s XL drawstring sports bag. Ideal for heading to the gym or being out and about, this drawstring bag comes with a large single compartment as well as a small single pouch with hook & loop fastening. The bag is finished with a Superdry Sport logo print on the front and all over print on the reverse.